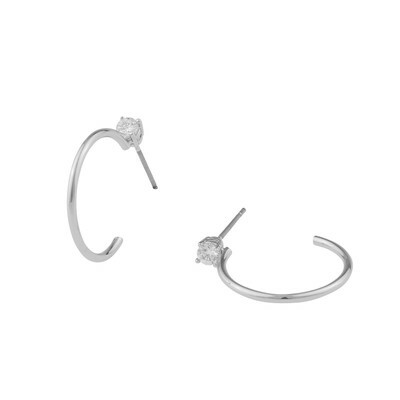 Duo Ring Earring i silver/clear. A versitile hoop earring with a beautiful stone on top. Combine with plain silver jewellery for a casual outfit or style it with more glitter for a more expressive look.